April's mother was in drug rehabilitation and her father was in jail. Her eyes looked to the ground and she rarely uttered a word. At the time, I was a sophomore in college and was serving as April's mentor, but I feared that we might never develop a close relationship. We struggled through our first sessions. After about two months of getting to know each other, I saw a breakthrough in our relationship. I invited April to visit my dorm room and to meet my roommates. She saw the way I lived: books and paper piled on the desk, dirty sneakers in the corner of the room and pictures of my family and friends covering the walls. She cracked a smile for the first time as she examined my eclectic selection of CDs. (Yes, this was back in the 90s!) More importantly, it was the first time she talked openly about her family. We began to develop a friendship, discovering that although our backgrounds were extremely different, we shared common bonds; we both devoured strawberry ice cream, read novels ardently and cared about our New Haven community. Use Evidence-Based Instruction: One of the keys to helping students who are struggling, or not making consistent progress, is the use of a supplemental, evidenced-based intervention program to aid learning. The cycle from formative assessment to instruction enables the teacher to observe students' responses to targeted interventions and to proceed with instruction supported by ongoing performance data. Provide a Rigorous Curriculum: Ample evidence shows that almost all students can achieve at high levels if they are taught at high levels. The curriculum should feature balanced instruction, emphasizing basic skills for increasing comprehension. Increase Instructional Time: Struggling students often need more instructional time coupled with an increased intensity of instruction in small groups and more repetitions or doses of instruction. For example, instruction offered to struggling readers needs to be clear and explicit, provide scaffolding, and be targeted to their individual needs. Introduce Supplemental Instruction: Supplemental instruction is intended to fill in students' learning gaps as quickly as possible and return them to core instruction. Instruction is typically delivered at least three times per week in small-group settings in addition to regular classroom instruction. Monitor Progress, Ideally Monthly: Teachers need to know exactly what students are doing well and precisely where they need to focus their attention. Using formative assessments, teachers can pinpoint where students have gaps and intervene accordingly. Motivate & Engage: When tasks are not matched to students and they are asked to perform skills they do not have, their motivation and engagement decrease. Use of theme, technology, choice, and differentiation enhances motivation and engagement. Deepen Professional Development: A well-designed and clearly communicated teacher development process is essential for driving measurable and lasting learning for students. Link School and Home: Close cooperation between schools, parents, and the community is one of the keys to closing achievement gaps. Parent involvement has a strong, direct impact on student achievement. With April, I knew it would take more than just me as a mentor to help her reach her full potential. Back then, I used two of these tips without necessarily realizing what I was doing. I found motivating and engaging academic activities for us to do together (#6), and I helped to created a link between school and home (#8). 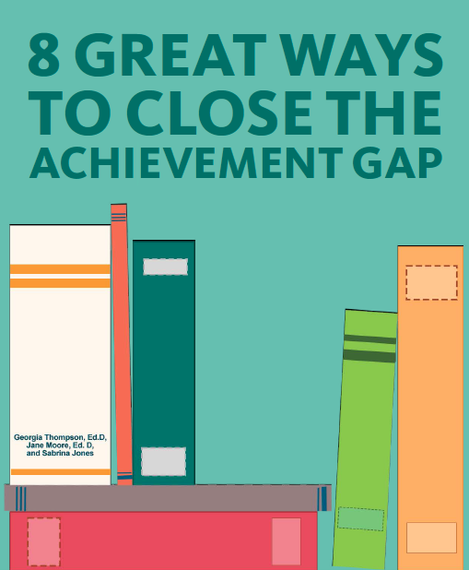 If April's teachers or I had known about the additional ways to help close the achievement gap, we may have had even greater impact. Nonetheless, with the tools we did have, we helped inspire a change in her behavior and a desire to pursue a career in nursing. I am honored to have served as April's mentor back in college, and I am even more humbled in my role today at Istation. In the spring of this year, a 2nd grader came to visit the Istation offices on a field trip. He was very excited about the trip, and at the end of the visit proclaimed, "Last year I was held back in school because I couldn't read, but this year I was given Istation -- and now I can read!" As a teacher appropriately remarked, "When you can give a kid the gift of reading, you've opened up the world to them . . . . That's the gift of an education." Want to learn more? 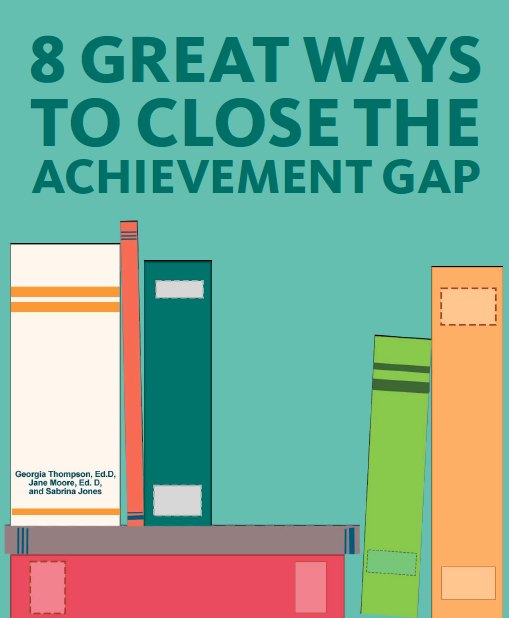 Get the free e-book 8 Great Ways to Close the Achievement Gap.